International Polka Music Hall of Fame® Happy Louie on this DVD - Recorded Live-In-Person! 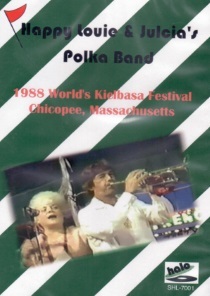 This DVD was recorded Live-In-Person at the World’s Kielbasa Festival in Chicopee, Massachusetts. 1988 was the year. Check out Happy Louie Live on this DVD!